At a recent scout camp (jamboree) was on the Friendship bracelet base, teaching youngsters. Made twisting bracelets, those with half hitches, and using a card with slits in. The youngsters enjoyed it. 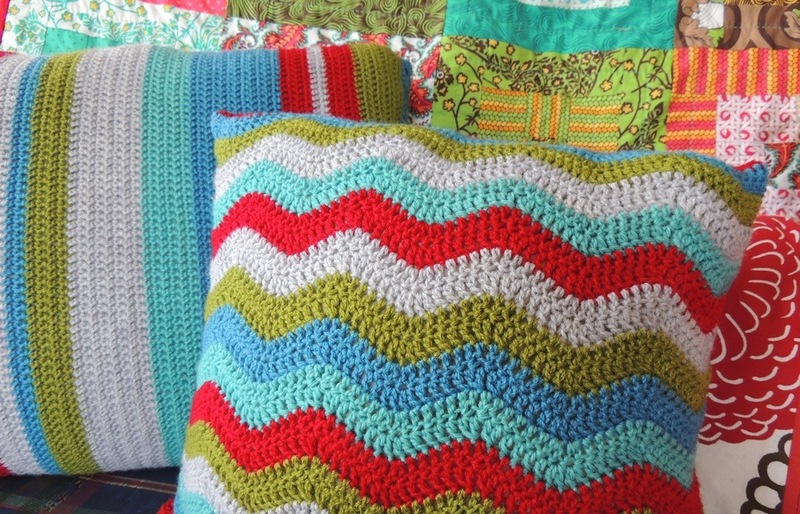 What materials can you crochet with? This is not just limited to single threads of wool or cotton. If you want to create wonderful mixes try working 2 different colours together. Wonderful depth, especially when using sparkly thread. Why not mix 2 different textures? I’ve made some lovely warm scarves. The advantages of this? Many, great effects, and quick to make! 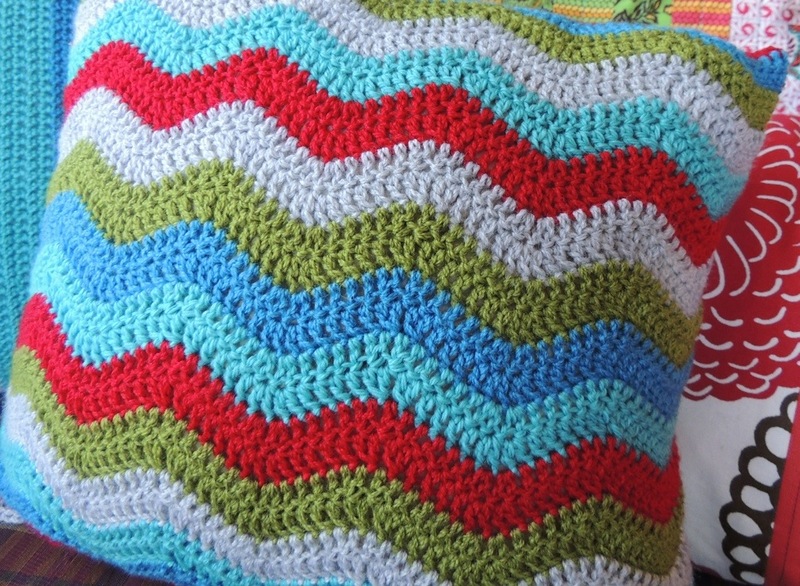 Let’s go further and consider crocheting with ribbons, inserting beads, even with thin wire. The example here is a cover for bowls. Want quick effects? Multiple threads, with large hooks. Complimentary or clashing colours, your choice. Thick and warm. You can’t go far wrong. I love the spiders, might make my own web, possibly a fly or 2! The first layer of the mission is complete. The giant web has been put up. The first spider has been hung with care. The infestation has begun! And I’ve been waiting for this moment all year. We have a tradition in October. And I kind of consider it part of my birthday fun. Near the beginning of the month, I put up a lone spider web in the front yard. After a couple days, I put a spider out near the web somewhere. Then every couple more days, we add another and another, until it’s a veritable invasion! But it’s been a while. For too long I’ve had to wait to pull out my spider webs. But no more sitting Halloween out now! 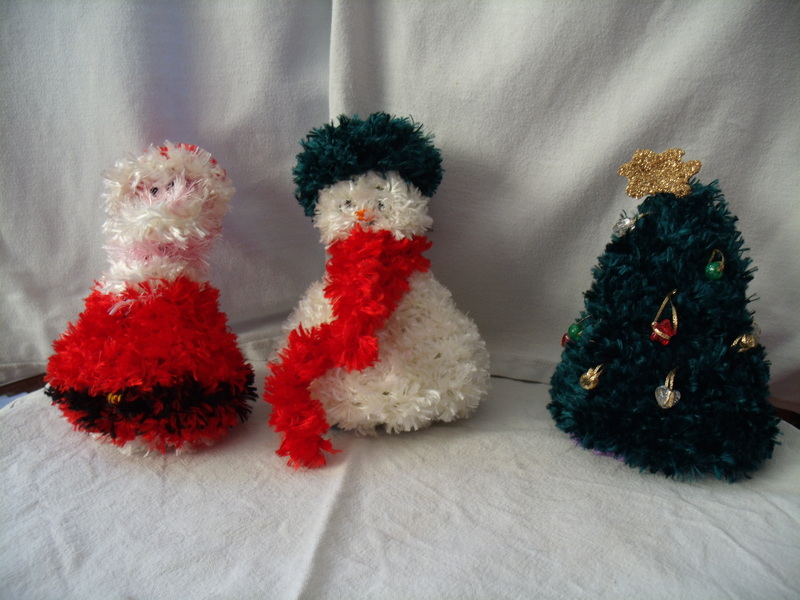 These are fluffy Christmas table decorations, around 18cm tall that I made for my nephews last Christmas. I like making special gifts for them like my grandma made for me and my sibblings. Little gifts can be put under them. I enjoyed designing them, using the different wool. I love the combination of pink/red and green. Yarn: TLC Essentials Dk Thyme; RHSS Candy Print, eggnog; mystery yarns pink, eggplant. Notes: This one wasn’t really difficult to make. The only tricky round is round 9 when you’re building the foundation of the square on the back of the flower. The flower really stands up on mine. I may go back and tack it down later. I’m not a big fan of dimensional squares. 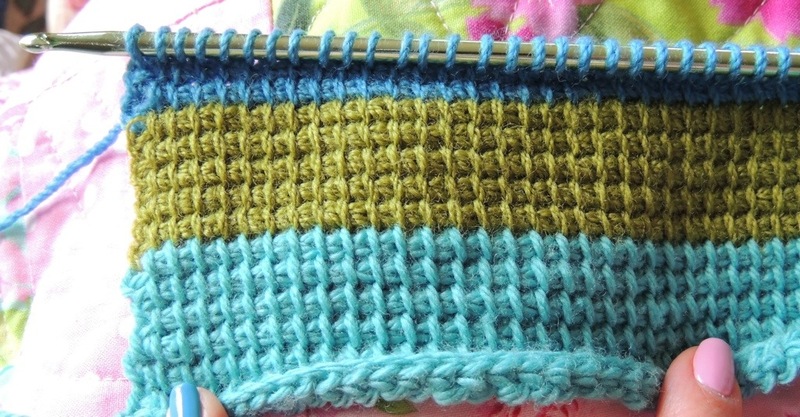 This is the February Filler Square in the 2013BAMCAL on Ravelry. I love the colours, so bright and vibrant.